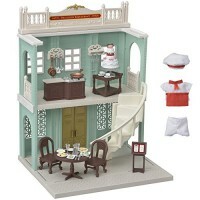 The Grand Department Store is a gorgeous department store in town with fancy decorations and engravings. 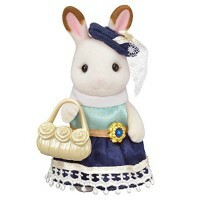 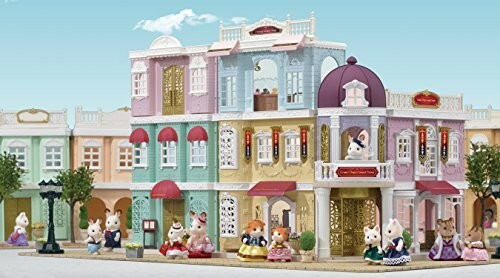 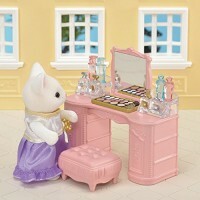 This all-in-one gift set comes with all the contents of the Grand Department Store, Boutique Fashion Set, Cosmetic Beauty Set, Fashion Showcase Set, Chocolate Lounge, and Town Girl Series Stella Hopscotch Rabbit. 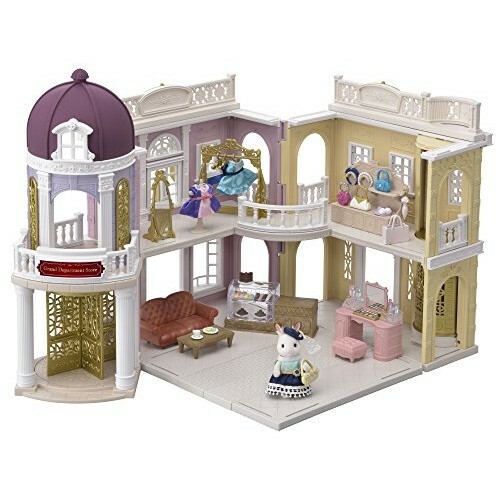 You can open and close the main building to enjoy different layouts. 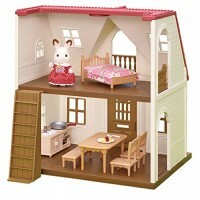 The main building has a manual lift that can carry figures to the upper storey. 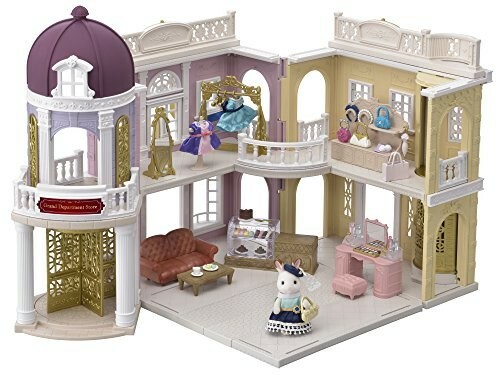 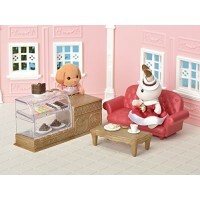 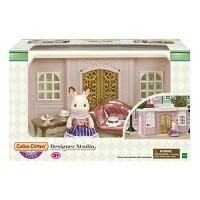 The windows are detachable and can be replaced with the windows from other Town Series items. 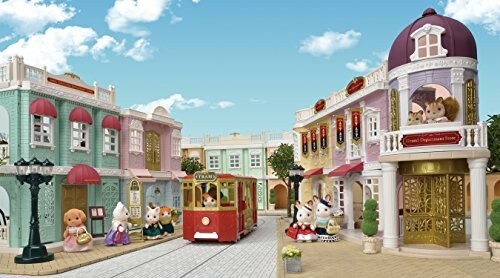 You can create your own townscape by combining this product with other buildings in the Town series, such as the Delicious Restaurant, Designer Studio, and Creamy Gelato Shop. 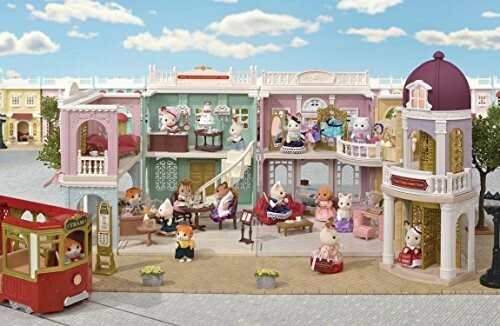 You can also customise your building by replacing the windows, fences, and awnings included with the building (all sold separately). 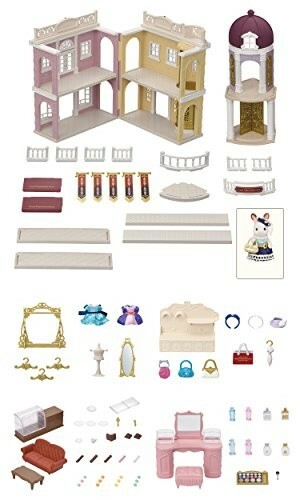 Main building, entrance tower, roof of entrance tower, roof-top ornament of entrance tower, fence A x4, fence B, fence C, fence D, fence E, fence F, Fence G, balcony, aisle board x2, ceiling board x2, flag x5, awning x2, window A x2, window B x2, window frame x4, Town Girl Series -Hopscotch Rabbit-, handbag x5, dressing unit, dress hanger x3, dress for child figure x2, torso, full-length mirror, chocolate shop counter, sofa, table, dish A, dish B x3, server, fork, tray, saucer, cup, chocolate x8, macaron x12, shelf for accessories, headband for child figure x2, hat for child figure, parasol, cosmetic counter, rack x2, mirror, stool, makeup palette, brush, milk lotion x2, lotion x2, perfume x2, facial oil x2 (total 96 pieces). 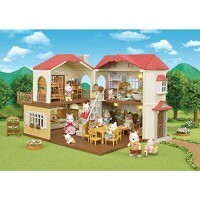 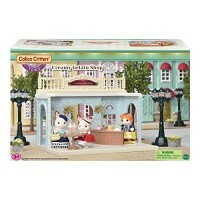 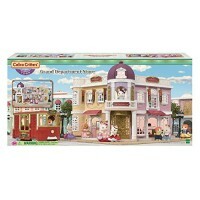 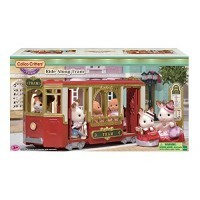 Dimensions of package 0.0787" x 0.2992" x 0.1378"
Write your own review of Calico Critters Town Grand Department Store Gift Set.